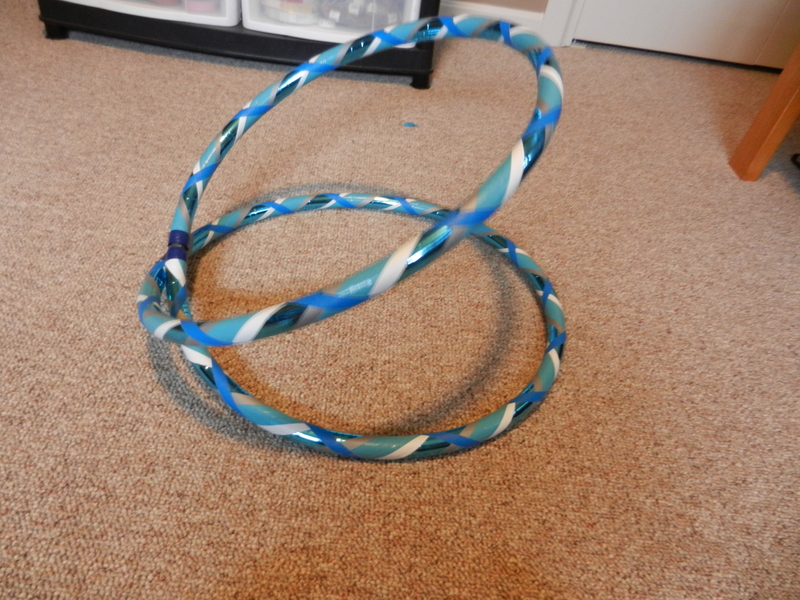 I’ve been meaning to make a video about this for a while and you can find some examples on YouTube showing how to collapse a hula hoop, but one of my Twitter friends recently requested photos on how to do this, so I figured I’d put it out there for all to see. Place each hand on either side of the top connector. Push down on the hoop while slightly twisting your right hand towards you & your left hand away from you. 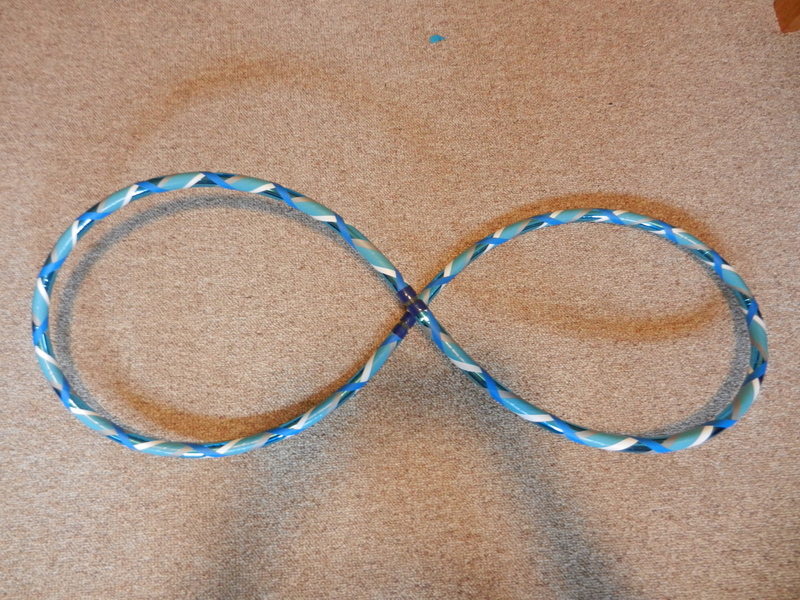 Then fold one side of the collapsed hoop over the other side, folding it in half. Voila! Now your hoop is collapsed! 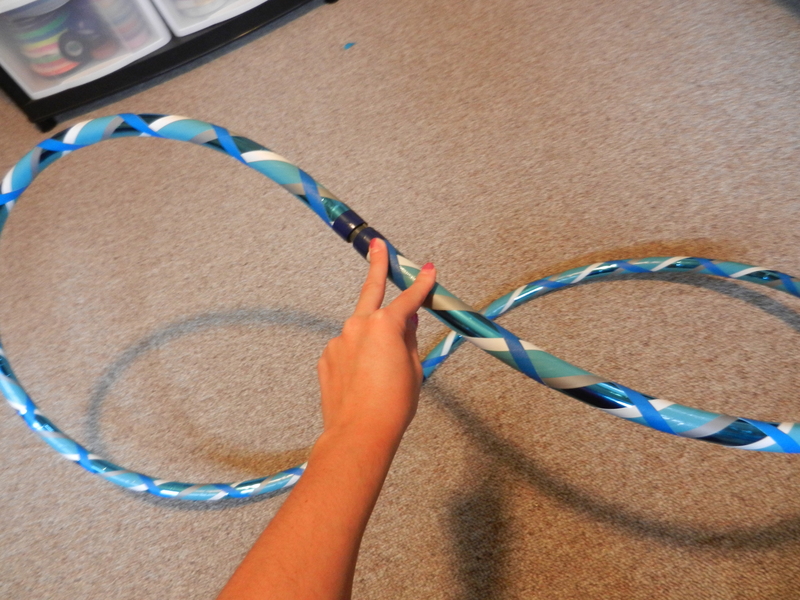 Usually the hoop tries to unfold and will not stay collapsed (which is why my hand is in this pic). 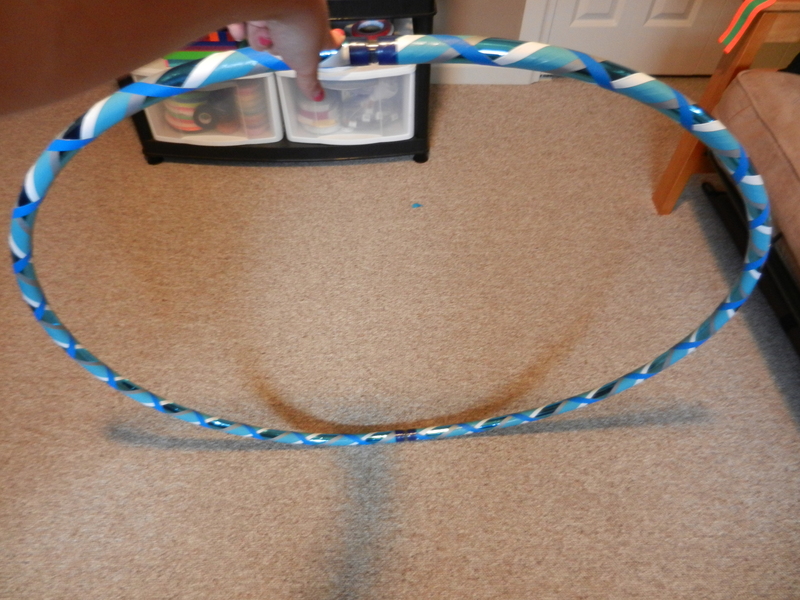 So I usually tie the hoop together with a pretty ribbon to keep if from unfolding. I hope this helps! 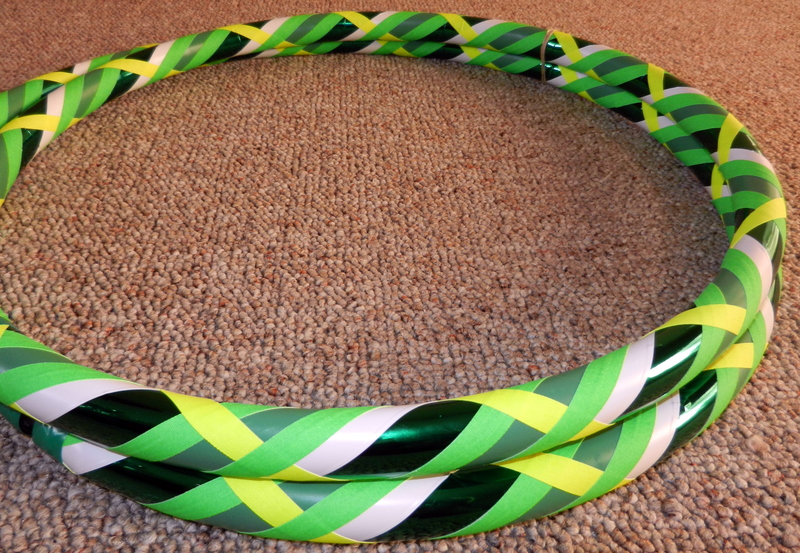 By the way, that is an Age of Aquarius Collapsible Hula Hoop which just so happens to be on sale (20% off!) until this Saturday! See ya later happy hoopers! 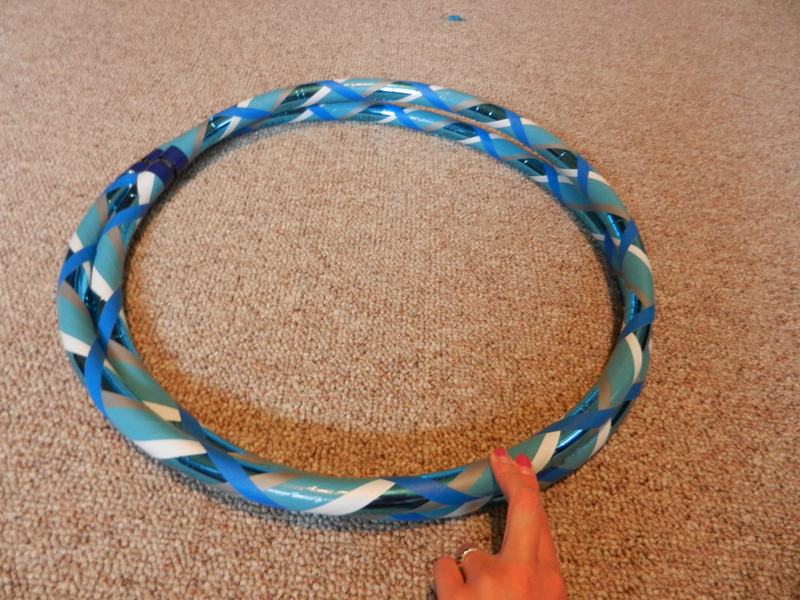 The Horoscope Hoops are the first themed collection in the HoopBunny Hoop shop! The first three – Lady Libra, Sizzlin’ Scorpio, and Sparkling Sagittarius – are currently listed for sale on Etsy. 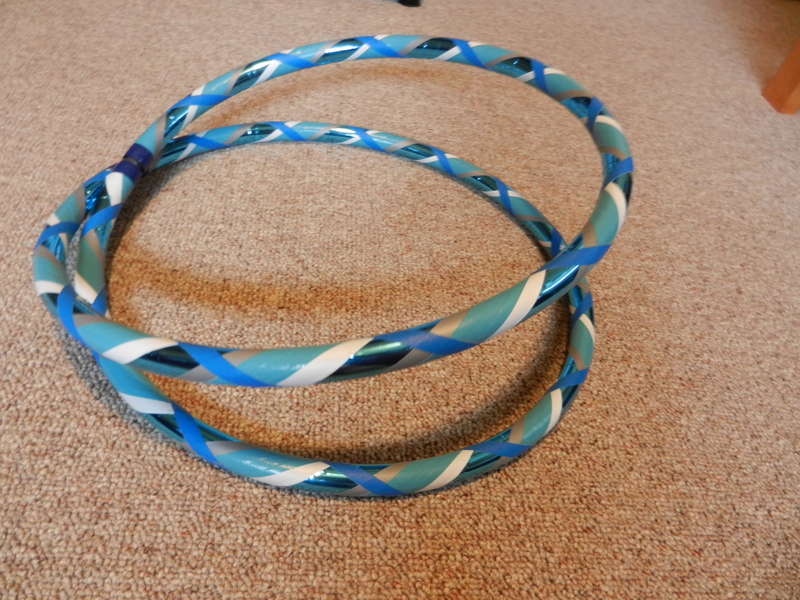 The 20% sale for the Lady Libra Collapsible Hula Hoop recently ended on 10/22 when the Libra sign of the Zodiac also ended. Throughout the sign of the Scorpio (right now! 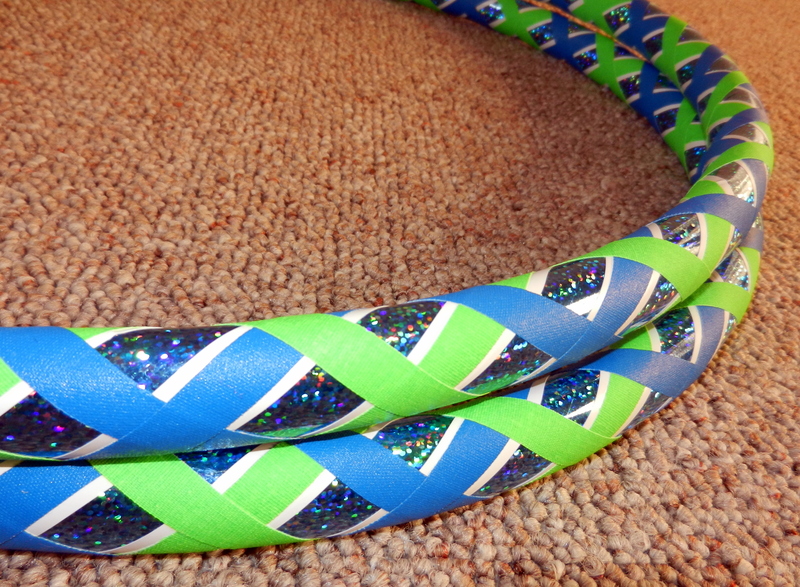 ), the Sizzlin’ Scorpio Collapsible Hula Hoop will be on sale for just $20! I think this may be my favorite out of the first 3 Horoscope Hoops, even though I usually prefer the bright neon colors (and I’m a Libra!). 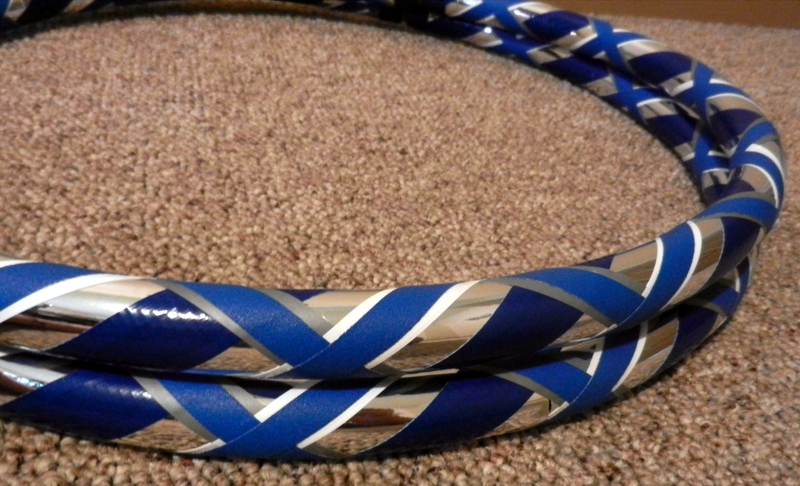 The sale on the Scorpio hoop ends 11/21. 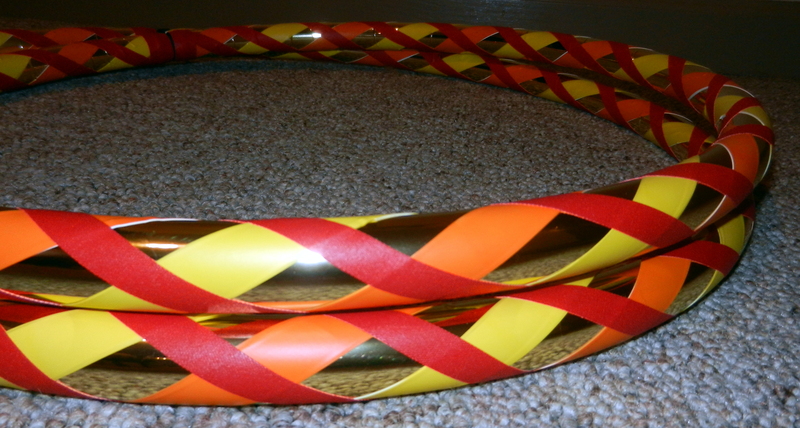 As you may have guessed, the Sparkling Sagittarius Collapsible Hula Hoop will be on sale (for 20% off) during the sign of the Sagittarius, starting November 22nd. Each Horoscope Hoop will be on sale during that particular sign of the Zodiac.The next three hoops that will be released in this collection are for the Capricorn, Aquarius, and Pisces signs. These will be listed within the next month so keep checking the shop for new listings! Each of the horoscope hoops are designed with specific colors that correspond to that particular sign’s symbol, element, ruling planets, star stones, etc. I put a lot of research into designing the horoscope hoops to represent each individual sign of the Zodiac. I am excited to get the rest of the collection in the HoopBunny Hoops shop and I hope you enjoy them as much as I do!